Great curb appeal on this home, which also happens to be located in a cul-de-sac! 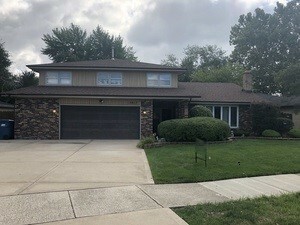 5 Bedroom, 2.5 Bathroom home in the desired Chippewa Ridge subdivision in Alsip! Palos Heights school district! Plenty of room with nearly 2700 square feet of living space! In-ground pool! Possible related-living considering the 5th bedroom is on the main floor! Roof replaced recently! With a little bit of effort, a family could make this home their dream home!